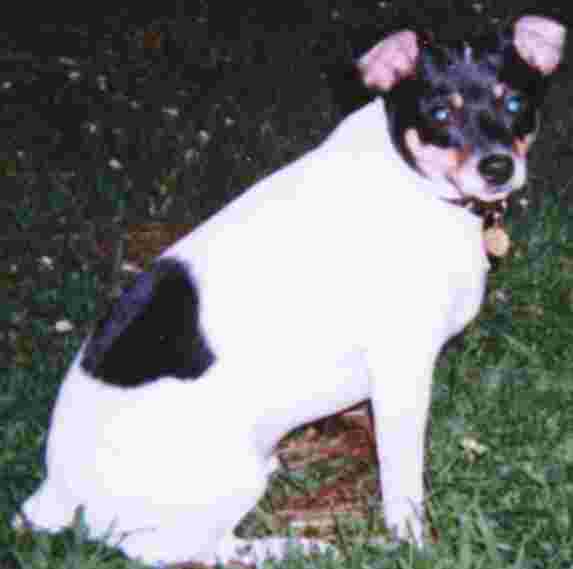 My father's family had a rat terrier on their farm. I have heard many stories of the hunting prowess of their little dog. I guess it is not a surprise that we chose Rat Terriers when the time came to get a pup! While our dogs don't get to hunt much, they are our constant companions. We find them to be quite smart, very lovable and extremely strong-willed. They are not for everyone. I guess I am glad that they are not popular and not AKC. 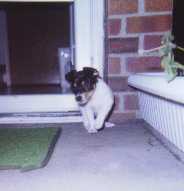 Of course we have pictures and information on our pups, but we also have "Rat Terrier" links galore. (webrings, training, associations, breeders, newsletters, personal pages and more). Come on in and browse around! If you would like to see pictures of Rocky and Sassy's friends, just click here!